»A - UNCATEGORIZED»THE OWL LADY REVEALS: I was nominated for a Very Inspiring Blogger Award! 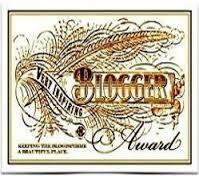 Thank you so much, Dale Furse, for nominating my blog for this award. Please look her up over on her blog “Dale Furse” where he talks about books, writing, publishing and promoting, supporting and promoting other authors. I adopted a young man and his family who live in England. He’s also an author. Now to nominate 15 bloggers. Hmm, that’s going to be hard because they’ve probably already been nominated. Check them all out, they’re great blogs with terrific information. Congrats on your award, Viv! It is well deserved! Congrats on the well-deserved award, and thank you so much for the kind nomination!